Five stunning float mount metal panels on a brilliant white high gloss surface for unsurpassed detail and vibrance. Our most popular surface. If hung with 2" of space between panels, this will cover 38" x 20" of space on your wall. If hung with 2" of space between panels, this will cover 53" x 30" of space on your wall. If hung with 2" of space between panels, this will cover 68" x 40" of space on your wall. If hung with 2" of space between panels, this will cover 83" x 50" of space on your wall. 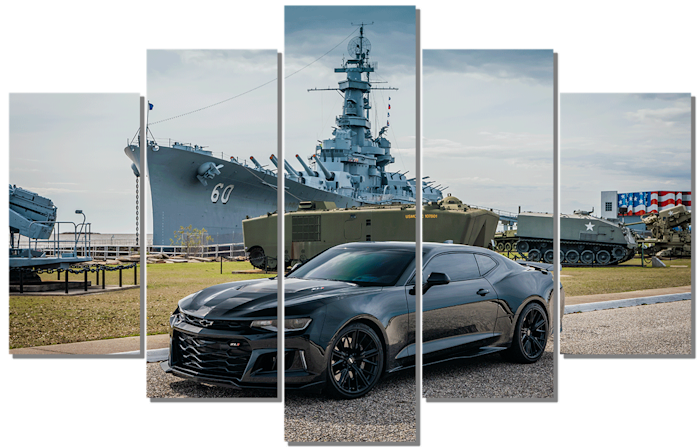 Five stunning 1-1/2” deep fine art canvas wraps are printed directly onto museum quality canvas material using high-quality archival inks.